Well, that's the point, you can only revive in safety, and even then, you want someone watching your back for hunters and smokers. And while more features are nice, it means that you won't be able to play multiplayer without disabling the mod, and who wants that? excellent point. I think you've done a great job on making it realistic yet muliplayer friendly. um, no... definitely not the same. HP for all the zombies has been tweaked, along with the guns, pills, nades, and the player take much more damage from zombies. might wanna get your eyes, or brain checked. Honestly, you must have screwed up the install. I like quite a few of the changes, especially the greater number of infected. However, the 15 second revive time seems a bit excessive to me, 10 or 11 seconds sounds better. It's still long, but not as (in my own opinion) ridiculous as 15 seconds. 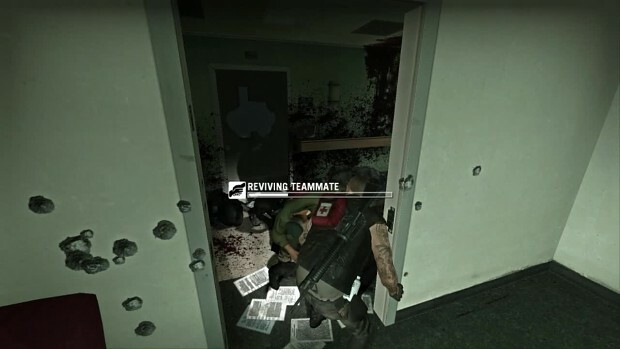 The point is so you can't revive with infected around, and that you want a team-mate by your side covering you, too. It's a way to force the player to play smarter. A quick video of some gameplay on the Mercy Hospital campaign. I'm running L4DR V1, and playing on Expert difficulty.